Whether as a solo act or joined by long-time bandmates, Justin leaves you with a show that is authentic and uplifting. 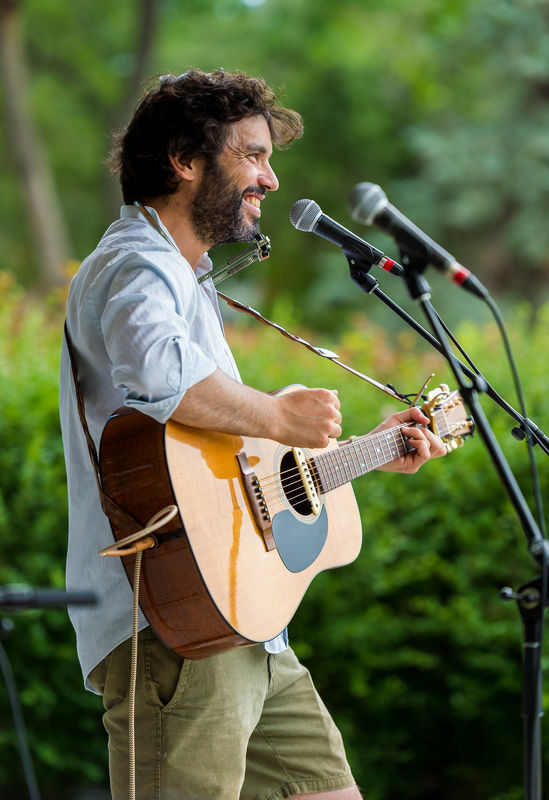 Nominated for both WCMA (2016) and Trille Or (2017) awards, Justin has engaged with festival audiences from coast to coast and in Europe, including Live from the Rock (Red Rock, ON), Festival du Voyageur (Winnipeg, MB), Snow King Festival (Yellowknife, NWT), Festival OFF Avignon (Avignon, France) and in 2017: Pride Festival, Trout Forest Music Festival, South Country Fair (AB) , Edmonton Chant’ (AB), Hay Days Festival, Dauphin Country Fest as well as the Canada Summer Games. After Tout dans ta tête (EP, 2015) and Ticket To Tokyo (EP, 2016), his acoustic solo album Sweet Time of Mine was co-produced with his best friend and bandmate, Joël Perreault and released in February 2018.